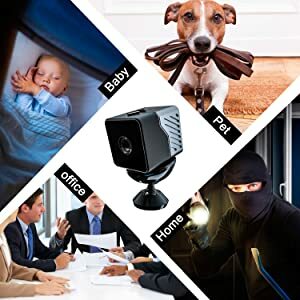 MAX 1 YEAR STANDBY TIME MINI CAMERA: BebedataT33 Cam(1.18 inches) is one of the Smallest Hidden Spy Camera BUT provides max 1 year standby time with motion sensor mode,6 hours daytime and 3 hours night vision continuous recording,make your home safer IN 24/7 without drawing attention. 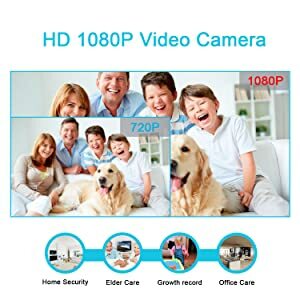 📷FHD 1080P & NIGHT VISION: Full HD 1080P with wide angle lens captures clearer and wider view.The hidden camera switches to night vision mode automatically in low light environments with range up to 33ft, supplement for your home security at night. 📷SENSITIVE MOTION SENSOR: Any objects movement within 16ft will trigger motion activated mode,ensures complete protection for your home and office security,theft or burglary won’t show up again. 📷ONE BUTTON TO RECORD – FRUSTRATION FREE:One button for manual recording, another for motion detection recording, easy to use. You can put the Bebedata T33 Mini Cam in the corner of home, office, warehouse, store, backyard, garden. 📷WHAT’S IN THE BOX: Bebedata T33 Mini Spy Camera, Magnetic Bracket, USB cable, Card Reader, User Manual and Pin. Lifetime support provided directly from Bebedata and professional service support 24/7 online to assist with any needs. Do you want to feel safe in your house? Do you want to protect valuables from theft or burglary? Do you want easy, set and forget, home security? Bebedata T33 Hidden Security Camera is your exclusively choice! How will Bebedata T33 Mini Hidden Security Camera make you feel safer? 1. Monitor and secure interiors such as bedrooms, apartments, family rooms, nurseries, garages, guest houses, and more. 2. While away check in on pets, children and elderly persons. 3. Camera protects your home by deterring trespassers. 1. Monitor and secure interiors such as offices, warehouses, showrooms, service desks, stockrooms, lobbies, and more. 2. Observe customers and employees in recorded or live video. 3. Deter criminal activities such as theft, loitering, and vandalism. 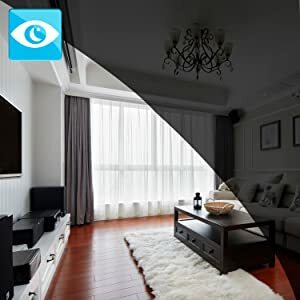 Sized as 1.18 inch,features a wide angle, and with the included 360° adjustable magnetic bracket you can perfectly position your camera to capture wider view,protect your house all day long. The small and portable design can be used as a normal video camera or hidden camera to protect home and secret business monitoring. It can also be used as a nanny cam or housekeeper cam. Thanks to advances in video stabilization and PIR night vision, the Bebedata T33 Hidden Home Security Camera transmits videos day and night in FHD.Bebedata T33 Hidden Home Security Camera automatically switches to night vision mode in low light environments with range up to 33ft,capture complete panoramic scenes in 1080P High-Definition with practically zero blind spots. Your videos will come out with impeccable resolution and precision. 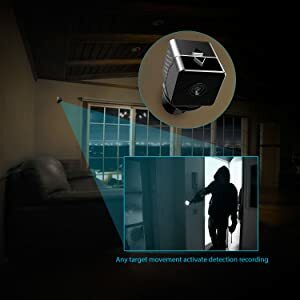 Motion Activated Recording Mode📷The spy camera will start recording automatically when detect any target movement with range up to 16ft, to protect valuables from theft or burglary. This increases the standby time to up to 1 year long with a built-in 1000mAh battery. Record 1080P FHD 📷Each camera comes with wide degree angle lens, with the clarity of 1080P FHD which provides you complete coverage in crystal clear images. Flexible camera base allows you monitor different positions. 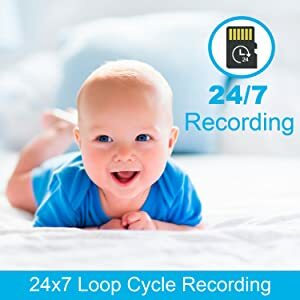 Loop Recording📷No need to worry about running out of storage. Bebedata supports Loop Recording – Old footage taped over by new footage, giving you peace of mind.